Remember 360fly? The panoramic camera from EyeSee360, which built the panoramic GoPano iPhone lens, has been on the scene since early this year at NAB. Now, the WiFi- and Bluetooth-equipped 360fly camera has been given the nod by the FCC, and an attached review manual gives us a better idea how it works. As the company showed earlier, it's a single-lens 360 degree horizontal and 240 degree vertical fisheye lens that has "the widest field of view on the market." It uses an iOS 8 or Android 4.3+ app that turns your Bluetooth LE-equipped smartphone into a 360 degree video viewfinder with full remote control. Using a single lens and sensor eliminates the need to "stitch" video and photos -- instead, you can swipe across the video to pick the angle you want, then edit it together using the 360fly app. As for the rest of the specs: according to the FCC guide, it's waterproof to a whopping 164 feet (5 atm) with 16GB of memory, a 360 degree horizontal and 240 degree vertical f/2.5 lens, a mic and a 1,504 x 1,504 1/2.3-inch CMOS sensor. It can hold a charge for 2 hours, weighs 138g (0.3 pounds) and comes with a tilt mount, power cradle and USB port. You may have noticed that I didn't mention an SD card -- it looks like it'll make do with 16GB of internal memory only, with large transfers to your mobile device by WiFi. 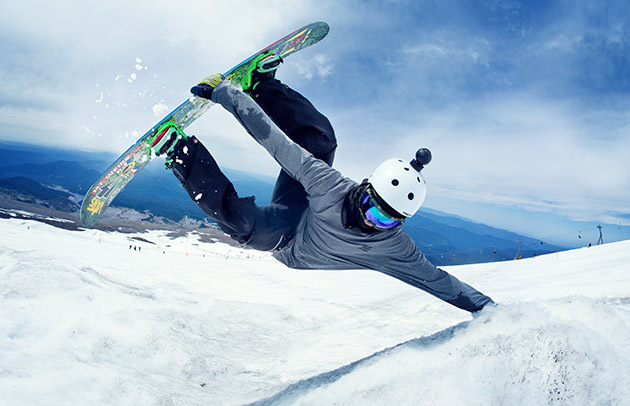 Rather than tackling sports cam stalwarts like GoPro directly, the 360fly is trying to carve its own niche by capturing video from all around the photographer without the complexity of multiple lenses. EyeSee360 must have a convincing case, because it raised $17.8 million from bullish investors. Though the company promised it for this summer, it looks like its ready to at least take a step towards the market now that it's cleared the FCC. Some of the specs might be revised in the interim, but for now, the manual is marked "Reviewer's Guide," so hopefully we'll get our mitts on it soon.